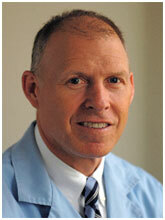 Dr. Bill Holohan is a second generation dentist and lifelong area resident. He received his undergraduate degree from Xavier University and his Doctorate of Dental Surgery from Loyola University. In pursuit of excellence in his field, he has completed more than 800 hours of postgraduate training in restorative, cosmetic, and implant dentistry. His philosophy of practice is relationship based and health centered. "Our father's practice was built on relationships and trust, and we practice the same way today. We take the time to listen to the individual needs of each patient. Part of our practice vision is to make dentistry a positive experience for our patients, from the treatment we provide to our customer service." In addition to providing basic dental procedures, Dr. Holohan has a particular interest and expertise in the treatment of worn dentition. He also makes custom oral appliances for treatment of TMJ disorders, snoring, and sleep apnea. "We understand the vital link between oral health and overall health. If we can help our patients achieve and maintain optimal oral health, we are truly improving their quality of life." "This is a very exciting time to be a dentist. Today's modern techniques and materials allow us to help our patients in ways our father could only dream of. It can be life changing for some patients to have their smile restored with beautiful veneers or have missing teeth replaced with implants. We love being able to provide these services to our patients." Dr. Holohan is a member of the American Dental Association, the Illinois State Dental Association, and the Chicago Dental Society. He has volunteered his services through Health Volunteers Overseas, El Nino Rey Dental Mission, the CARA Program, Maryville Academy, Pankey Institute Access Days, and Illinois Mission of Mercy. "Volunteering is part of who we are, and it has been one of the most rewarding aspects of dentistry. Dental health is truly a gift. Many people here and abroad suffer from poor dental health due to lack of access and economic factors. We feel blessed to live and work in such a great community. We feel an obligation to give something back, and we always receive more than we give." Dr. Holohan and his wife, Sharon, live in Northbrook and are the proud parents of four children. His interests and hobbies include running, skiing, fishing, and following Chicago's sports teams.